Ecology’s Fontana Recycling Center proudly serves the city of Chino in San Bernardino County, California, with scrap metal and CRV item recycling services. Our recycling center proudly serves Chino residents with easy access to recycling that is user-friendly and streamlined for efficiency. We accept both scrap metal and CRV in small quantities or in bulk. With Chino residents in mind, we strive to make your recycling visit fast and fruitful, with your compensation readily available after redeeming your recyclables. We invite you to come find out why our recycling center is the preferred method of recycling for Chino area residents and business owners. 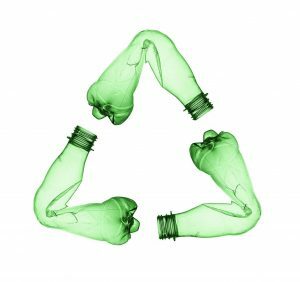 Recycling reduces the number of items placed in the trash. When items go into the trash, they are carted off to landfills and incinerators instead of serving as a prime material for making new items. This means they end up being pollution. When recycled materials are used for creating new items, the need for mining is reduced. Instead of using new inputs, recycled items can be used. Thus, mining activity for these new inputs is lessened. Mining is often harmful to the environment because it disrupts habitats and creates all kinds of pollution. The less mining, the better. Finally, recycling reduces pollution to another level. More energy is required to make items with all new materials. By recycling, precious energy resources are saved. 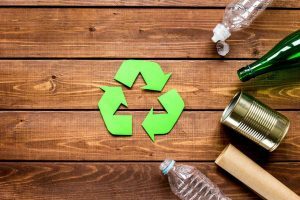 In addition to the many environmental benefits of recycling, it can also give your wallet a boost. Scrap metal and CRV both offer compensation. Depending on how much recycling you have, you can earn a pretty nice sum. In any case, it’s better than letting it get hauled off to the trash where you won’t receive any compensation at all. Unusable metals that are no longer serving their original purpose are scrap. Through recycling, these old, otherwise useless metals can become useful once again. Whether the original source is an old appliance, car parts, an old bicycle, industrial scrap, wiring or home hardware, it’s scrap metal that can be recycled. For recycling purposes, scrap metal is divided into two categories. Metals include a wide range of different elements and materials with different properties, functions, and values. 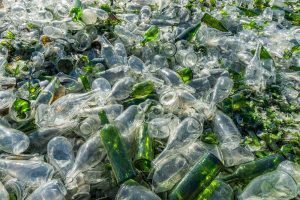 Though most of it is indeed recyclable, it must be sorted beforehand. The two categories used are ferrous and non-ferrous metals. All ferrous metals are magnetic. These metals contain iron or steel and are typically sourced from old vehicles, appliances, demolition scrap, structural steel or metal offsets from manufacturing warehouses and industries, etc. If you’ve ever seen a giant metal attachment on a crane in a recycling center, this is used to attract ferrous metals and separate them from non-ferrous metals. These metals command a lower price than non-ferrous metals due to the quantity in which they’re found. However, this shouldn’t deter you from collecting and recycling ferrous metals. 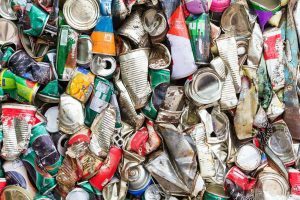 In addition to compensation, remember that recycling these metals is important for the preservation of Pomona’s environmental resources and well-being. Non-ferrous metals are not magnetic, as you may have guessed by now. These metals include many different types of and combinations of metals, as long as they don’t contain a majority of iron or steel. Some examples of commonly found non-ferrous metals are bronze, aluminum, and copper. The one metal that might fool you? Stainless steel. Even though the name has stainless steel in it, it is actually a non-ferrous metal. Some sources of non-ferrous metals you’re probably familiar with are window frames, household hardware (plumbing), wires, bicycle frames, and some car parts. Non-ferrous metals are more expensive than ferrous metals. Aluminum cans, which are CRV items, are also included in this category. At our recycling center near Chino, Ca, we accept both ferrous and non-ferrous metals including copper, aluminum, brass, iron, steel, and tin. The California government has headed many efforts to improve the state’s support of the environment. One of the ways that California improves the future of the environment is through CRV, which stands for California Refund Value. 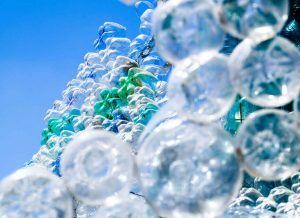 This program incentivizes both private citizens and businesses to recycle. How? When you turn in certain recyclable items to certified recycling centers (such as our recycling center), you’ll receive the redemption value. 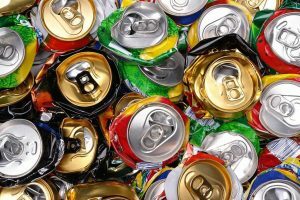 In this way, soda, beer and juice cans, vegetable juice cans, and wine bottles, etc are turned in to be recycled in greater quantities than if no compensation was given. CRV items are typically packaging made of aluminum, plastic, glass and layered metal. How is it funded? When you purchase a CRV item, a small additional cost is included in the price. You can redeem this money back through the recycling program, when you return the items for recycling. Most times, CRV is processed on an item by item basis. However, if you have considerable amounts of CRV, it’s often processed by weight. If you’re located in Chino, we encourage you to bring in all of your clean and dry CRV items to our recycling center. At Ecology, we make it our goal to support both Chino residents and businesses in their efforts to recycle more. We do this mainly through our recycling center which was carefully designed with this in mind. Through this center, individuals and businesses can have easy access to a recycling center that minimizes hassle and makes recycling an easy part of your everyday life. Either make the trip on your own or create a group of neighbors who share the responsibility of recycling drop-off. To support the greater needs of businesses, industries and organizations that must manage large quantities of scrap and CRV, we offer roll-off bins that are delivered straight to your property. When you’ve filled your bins, we’ll haul off the recyclable items and leave you an empty bin to continue collecting. We have a variety of bin sizes available to meet your unique needs. We can accept many recyclable items, but there are some things we cannot accept due to the limitations of our facility and to protect the safety of our staff. Please note that we don’t accept the following items. Chino, the beautiful dairy capital of Southern California, has a rich agricultural history. As a part of the lush valley below the San Gabriel Valley Mountains, Chino certainly enjoys an idyllic geographic location. 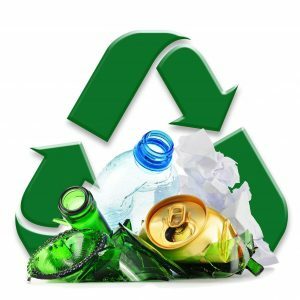 Ecology is committed to providing the hard-working, responsible residents of Chino with access to an efficient recycling center through our recycling center. Discover how we can help you! Let us know if you represent a business, industry, factory or household and we’d be happy to discuss our services and recycling suggestions in further detail with you. Call today to find out more about our CRV recycling and scrap metal recycling programs, our current compensation rates and to ask any questions. We look forward to helping you meet your recycling needs soon.